The Industrial quays of the harbor of La Ciotat Shipyards are the maritime entry point for yachts and mega-yachts into the shipyard. They receive as a priority ships during the work afloat, and before or after being hauled-out. During periods of low activity (including summer), the quays can be rented for non-technical stopovers. 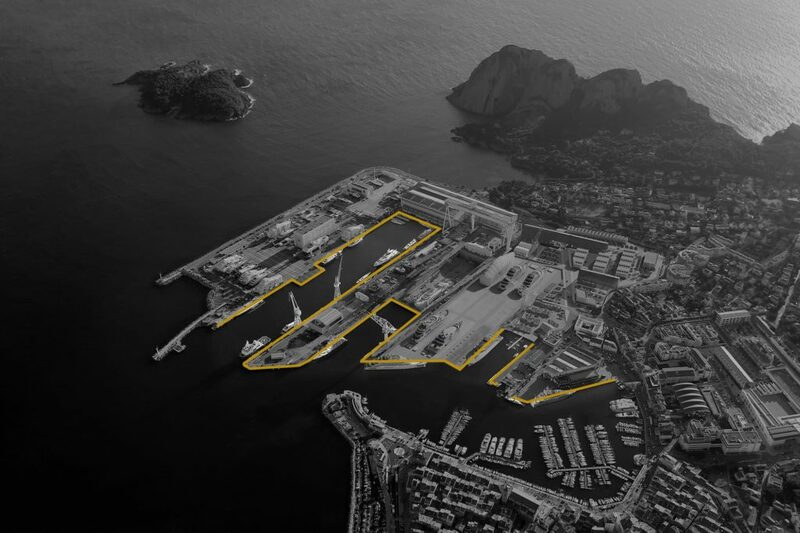 La Ciotat Shipyards is gradually renovating the quays in order to provide the best conditions for docking. They are in particular equipped with a high voltage electrical connection. Connection to very high speed fibre-optic internet will be effective in September 2018. For technical stopovers, reservation of the quays is open to ship repair companies through a dedicated online platform(1). Reservation requests for non-technical stopovers during the summer are done through the form on this page.